Brigid's Fire Press, 9780981648408, 432pp. As the 14th century dawns, Scotland's survival hangs by a spider's thread. While the clans scrap for the empty throne, Edward Longshanks of England schemes to annex the ancient northern kingdom. But one dark-skinned lad stands in the brutal monarch's path. James Douglas is cherished by his fellow Scots as the Good Sir James. Yet his daring raids across the border inflict such havoc that the English brand him the Black Douglas and nearly bankrupt their treasury to capture him. As a boy, James falls in love with the ravishing Isabelle MacDuff, whose clan for centuries has inaugurated Scottish monarchs on the hallowed Stone of Destiny. Yet their world is upturned when James befriends Robert Bruce, a bitter enemy of the MacDuffs. Forced to choose between love and clan loyalty, James and Isabelle make a fateful decision that draws the armies to the bloody field of Bannockburn. Here is the little-known story of Scotland's War of Independence and the remarkable events that followed the execution of William Wallace, whose legend was portrayed in the movie Braveheart. At last, James Douglas takes his rightful place with Wallace and Bruce in the pantheon of Scottish heroes. This thrilling epic leads us to the miraculous Stone of Destiny, to the famous Spider in the Cave, to the excommunicated Knights Templar and Freemasons, to the suppressed Culdee Church, to the initiation of Christ in Britain, and to the unprecedented Declaration of Arbroath, which inspired the American Declaration of Independence four hundred years later. 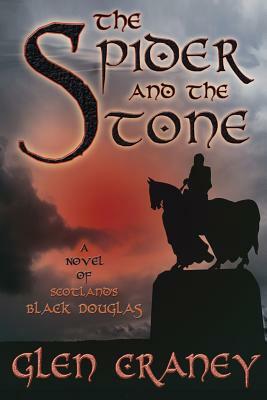 The Spider and the Stone is the unforgettable saga of the star-crossed love, spiritual intrigue, and heroic sacrifice that saved Scotland.